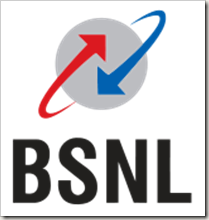 BSNL | Bharat Sanchar Nigam Limited | Govt. Jobs | Graduate Engineer Apprentice | Last Date: 31 August, 2015. Posted in Apply online, Computer Science, Electronics and Communication, Government Job, IT, Job After Btech. Tags: 2015., Bharat Sanchar Nigam Limited, BSNL, Govt. jobs, Graduate Engineer Apprentice, last Date 31 august on August 4, 2015 by Lalit Joshi. BSNL (Chhattisgarh Telecom Circle) | Junior Telecom Officers Recruitment | Last Date: 05 September, 2014. Education: BE/ BTECH (Telecommunication/ Electronics/ Radio/ Computer/ Electrical/ IT/ Instrumentation) from a recognized University. Posted in Computer Science, Electrical, Electronics and Communication, Electronics and Instrumentation, Electronics and Telecommunication, Government Job, Instrumentation, IT, Job After Btech, Radio Engg., telecommunication. 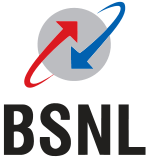 Tags: 2014., BSNL, Chhattisgarh Telecom Circle, Junior Telecom Officers, Last Date: 05 September, recruitment on August 4, 2014 by kavita joshi. In order to manage efficiently and better way U. P. Telecom Circle was bifurcated on 01.04.1995 into two separate Circles viz. U. P. (East) Telecom Circle with Headquarter at Lucknow and U. P. (West) Telecom Circle with Headquarter at Dehradun ( at Present Meerut). The Circle is headed by an officer of the rank Chief General Manager and is assisted by one PGM(D) and nine General Managers for Operation, Mobile Services (03 GMs), Marketing, NC, Business Development, Land & Building, WLL, Telegraph and Finance and two Chief Engineers(Civil and Electrical) at headquarter. Apart from this there are one Principal General Manager for Lucknow , Thirteen GM in Major Telecom District and Nineteen Telecom District Managers at minor Telecom District in the field. Posted in Electrical, Government Job, Job After Btech. Tags: BSNL, Govt. jobs, Junior Telecom Officer Electrical, Last Date: 05 Sep 2014. on July 17, 2014 by kavita joshi.